"Do you really sleep in that thing?" Yes, we do. And we love it! 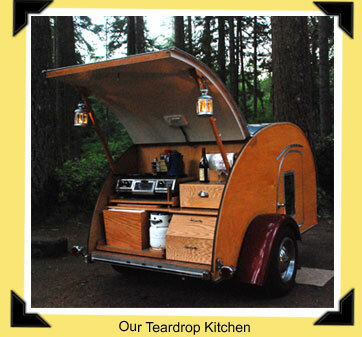 We bought our handmade, one-of-a-kind teardrop from its maker in Sequim, Washington in August 2007, and we've been enjoying it every chance we get. We spend summer weekends exploring areas near where we live in Eugene, Oregon. And in September 2008, we travelled 5,800 miles through 13 states, visiting 7 national parks. 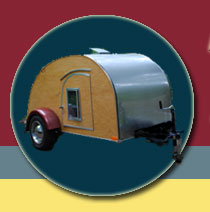 This site is a personal account of our adventures, with reviews, links to, and photos of all of the campgrounds we encountered along the way. Click the button below to follow on Pinterest.